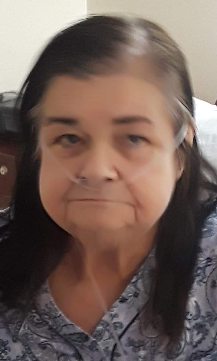 Margaret Mary Martin, 76, of Cranston, passed away on April 2, 2019 at the Philip Hulitar Hospice Inpatient Center, Providence. Born in Providence, she was the daughter of the late Joseph T. and Margaret M. (Guertin) Winn. Margaret worked as an Assembler for Jay Packaging Group for 27 years before retirement. She loved spending time with her beloved children, grandchildren and great-grandchild. She leaves three sons, Richard Martin, James Martin, David Martin and his wife Patricia; three daughters, Tammy Auger, Cathy Martin, Patty Ford and her husband John, and two brothers, John Winn and Joseph Winn. Margaret also leaves 8 grandchildren and 1 great grandchild. She was the sister of the late James Winn and late Robert Winn. Margaret's funeral will be held on Tuesday, April 8, 2019 at 8:45 am from the Russell J. Boyle & Son Funeral Home, 331 Smith Street, Providence. A funeral service will be held at 10:00 am. Burial will be in Saint Ann Cemetery, Cranston. Visiting hours Monday, 4-7 pm.